Ever since our favorite cichlids died, we did a whole revamp of our aquarium and ended up with one of our favorite fish ever! 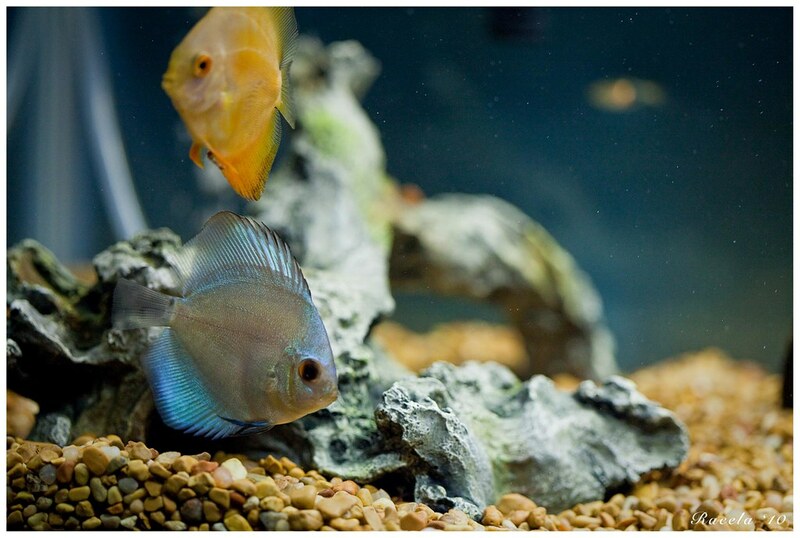 The discus fish is also a cichlid but it is probably one of the most colorful freshwater fishes that you can get. The discus originally came from the Amazon but most of the varieties that you see in the store are already captive bred. They can grow pretty large, like a small dinner plate and are very sociable. Some say that they are a bit difficult to take care of but our LFS (Local fish Store) said that they were very hardy as long as you make sure that the tank is clean. I can remember the first time I saw an adult pair back in the Philippines and I was blown away at how beautiful and regal they are. The 2 that we got are about 2 inches big (far from the 8-10 inches that they can potentially grow) and they share their new home with a bunch of tetras. I'll describe our setup in a future post but I hope you enjoy the video.